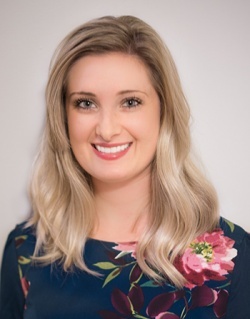 Nicole Allen has joined Berkshire Hathaway HomeServices Verani Realty (Verani) as director of marketing. In this role, Allen will provide strategic planning and execution of the company’s marketing efforts across New Hampshire, northern Massachusetts and Maine. Prior to joining Verani Realty, Allen worked for WinnResidential as a regional marketing manager, where her portfolio consisted of over 10,000 affordable and market rate units located in MA, RI and upstate New York. Her expertise ranges from branding, campaign and collateral creation, website optimization and digital advertising. Allen has spent the last seven years in the multi-family industry learning all aspects of property management, including marketing, sales and leasing, field operations, historic mixed-use renovations, development of new construction communities, lease ups and acquisitions/dispositions. She landed in property management when, while deciding the career path she wanted to take, she combined her degree in Finance from Bryant University and her love of all things home improvement. Allen began her career with Equity Residential in California as a sales professional. Originally from New Hampshire, she transferred her career with Equity Residential to Boston. Shortly after, Allen was promoted to leasing manager of a downtown flagship property. She currently lives in Tewksbury, MA. Learn more about Allen at verani.com.